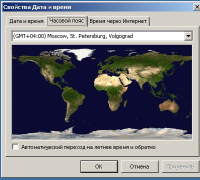 This file modifies registry settings of time zones taking into account moving to permanent winter time in Russia. Microsoft has no released a service pack for Windows XP. Had to change the registry manually. This patch managed to use in ROS. 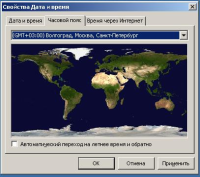 He also translates the names of time zones in the Russian language. The screenshots show the implications of the patch in ROS. Since 26 October 2014, Russia switched to permanent winter time. Also changed the composition of time zones in Russia.